The ESCO market in Ukraine is highly limited although it has significant potential. Particularly, according to different evaluations, the total market volume varies from USD 4 billion right up to USD 8 billion. But, even such an evaluation is general because the experience of other countries shows that applying the ESCO model is a highly effective measure to implement energy saving technologies without significant expenditures for the company. For instance, the annual ESCO market turnover in the USA is about USD 6 billion and the total market size is about USD 20 billion. Taking into account the fact that in Ukraine the vast majority of property assets suffer from extreme deterioration and their construction was carried out at least 20-30 years ago, even implementing simple energy efficiency measures will have a significant economic effect. It is important, first of all, for the public sector, because Ukraine does not have significant funds that could be used as investment in energy saving when the saving of energy (considering the necessity to increase the energy independence of the state) is one of the most important priorities of state policy. Therewith, today the ESCO market in Ukraine in the public sector does not function as it is and the commercial market is relatively limited because there is no extensive experience of application of this mechanism. State support in the energy savings field is unable to solve even a small part of currunt problems. For instance, the budget for 2017 included financing that was for about UAH 800 million and UAH 400 million out of this sum were allocated to establish the Energy Efficiency Fund. As the required amount of financing is USD 20-40 million (according to estimates made by different experts), state support in this case cannot even boost development of the market. The main legislative regulation of ESCO market consists of two laws: the Law of Ukraine On Introduction of New Investments Opportunities, Guarantees of Rights and Legitimate Interests of Businesses to Conduct Large Scale Energy Sector Modernization of 9 April 2015 No. 327-VIII (so-called Law on ESCO) and the Law of Ukraine On Introducing Amendments to the Budget Code of Ukraine Related to Introduction of New Investments Opportunities, Guarantees of Rights and Legitimate Interests of Businesses to Conduct Large Scale Energy Sector Modernization of 4 April 2015 No. 328-VIII. All the stated documents were approved at the end of 2015. At the beginning of 2016 the first developments and negotiations related to pilot projects of ESCO started in public buildings. They have now been terminated due to amendments made to legislation related to public procurement. The provisions of the Law On ESCO refer to the old Law of Ukraine On Public Procurement Performance that became invalid on 1 August 2016 when the Law of Ukraine On Public Procurement was adopted. The new law does not include peculiarities for procurement or implementation of energy saving measures through application of the ESCO mechanism. In practice, due to the lack of conformity between the provisions of Laws, it is impossible today for a state-funded institution to purchase ESCO services, which is why even those projects, the development of which started in 2016, had to be terminated. 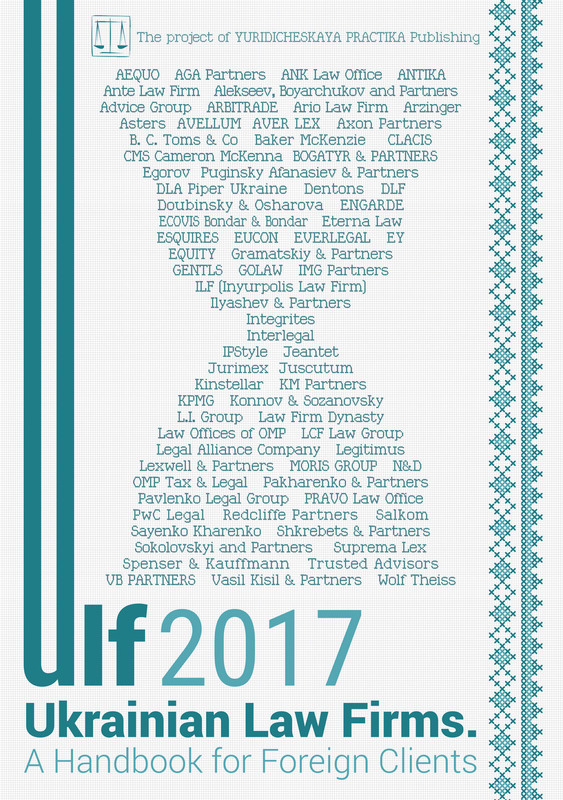 In order to manage the situation the Draft Law related to amendments to the Law of Ukraine On Introduction of New Investments Opportunities, Guarantees of Rights and Legitimate Interests of Businesses to Conduct Large Scale Energy Sector Modernization (related to the mechanism of energy service procurement) was developed. It provides for bringing into conformity the procedures of ESCO services purchase and the provisions of the Law of Ukraine On Public Procurement, sets out the features to perform purchase of ESCO services, tender documentations content, tender bid evaluation, evaluation criteria, etc. Moreover, the Draft Law provides for introduction of a number of other amendments taking into account previous work on the practical application of the law’s provisions. Thus, the maximum term for an energy performance contract is prolonged from 10 years to 15 years, the peculiarities to conclude agreements related to the objects administered by several budget holders are stipulated, the mandatory minimum level of economy that the client should experience is cancelled. The Draft was approved by the Verkhovna Rada of Ukraine during the first sitting in autumn 2016, but it was not submitted for consideration at the second hearing. Another attempt to approve the law was made in March 2017. The Draft was included on the agenda. At the same time, taking into account the fact that its consideration was scheduled for the end of a daily sitting (that made it close to unlikely to be adopted), it seems that lawmakers had more topical issues to resolve, and to develop a market for the implementation of energy saving technologies in Ukraine was not one of them. It should be mentioned that adoption of the stated Draft Law does not solve the key problem of ESCO’s functioning, namely the problem of its financing. It is necessary to understand that today ESCO companies in Ukraine are quite small engineering and project organizations. They do not have resources at the expense of which it would be possible to implement projects because it needs to be remembered that the existing ESCO scheme does not include such implementation at the expense of ESCO. It is possible to solve the problem with the help of bank financing, but, taking into account the loan rates at Ukrainian banks, the cost of a project will increase 5-7 fold within 10-15 years due to the cost of financing alone. The situation also becomes more complicated because when giving finance for an ESCO project, the bank should rely on the qualification of the ESCO company whose calculations related to the economic efficiency of the project and its income. Today, the banks do not have the experience and knowledge to check ESCO calculations, even in crude terms. This creates certain obstacles to receiving bank loans. Consequently, the market needs very badly needs some cheap and available financial resources that ESCO companies would attract to implement projects. The offering of state support to ESCO projects is one such possible mechanism. Today, the Government of Ukraine promotes and actively promulgates the concept of establishing the Energy Efficiency Fund. It should accumulate all measures of state support in the field of energy efficiency. Today, persons that can possibly become the clients of the Fund include a condominium, private person — owner, etc. ESCO are not included in this list. The Fund gives assets straight to the owners in order to fulfill the required measures. In our opinion, it would be reasonable to include ESCO in such a list. First of all, it would increase the economic efficiency of implemented measures for a certain object. These measures would be implemented not because “everyone does this”, but because implementing this measure will provide certain influence on the economy. In addition, such an approach would enable the Fund to monitor the targeted expenditures with the help of information on factual economy attained that ESCO would collect during the monitoring and verification of implemented projects. Another effective mechanism appeared to be a partially subsidized bank loan by the state paying part of the interest, or through providing banks with certain financing at the expense of which the banks could give loans on a preferential basis and at a lower rate of interest. Moreover, a relatively effective supportive mechanism could be the Fund providing guarantees to ESCO companies, which will use them as a guarantee to obtain bank loans. It will enable the cost of the load funds to be reduced because the guarantee from the Fund will be considered a high one. Another possible support option is the repurchase of state guarantees by the Fund during the performance of payments based on ESCO contracts through forfeiting. Thus, an ESCO company can receive funds for a performed project, which will also decrease its cost. The most important thing is that using such mechanisms will give the Fund an alternative method for financing, in addition to receiving funds from the budget and donors and, potentially, becoming self-sufficient.